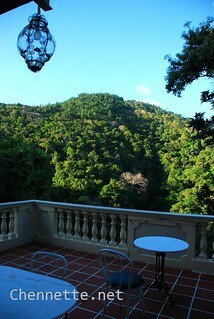 I visited Mount Saint Benedict, and more particularly had tea at Pax Guesthouse in December 2010. This is part of that tour of Trinidad I was conducting with friends of mine from the US…clearly I never got around to completing the account! When you’re flying into Trinidad, as the plane straightens up, facing East to land in Piarco, take a look out the left side. 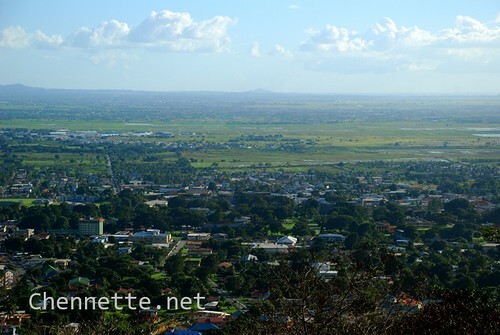 Up in the hills above the St Augustine-Curepe area you will see the group of buildings that are on the Mount. From the Mount itself, you get a phenomenal view of Trinidad looking South, towards the Central Range, with the Gulf of Paria to your right. On a nice clear day, you can see beyond central into South. The yoghurt made by the monks is pretty good stuff, and is one of the earliest (if not first) national yoghurts commercially produced and marketed island-wide. You can buy it in the store or in most grocery stores in T&T. The tea itself though was quite nice. One plate (as you can see) had cheese scones and a slice of raisin/fruit cake, with marmalade. Served with Earl Grey I think. 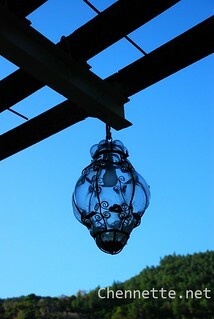 I would go again, because the surroundings are great, and a nice peaceful tea is relaxing. And I really hope that this was just a one-time thing – maybe they were short-staffed. I repeat, they were polite and service was quick. It just seemed odd and not particularly friendly or welcoming. Maybe Lilandra can add her observations…Would love to hear from other people who have visited. Honestly, I would go again because the place, tea and atmosphere are great. This entry was written by Chennette and posted on November 7, 2013 at 10:00 am and filed under photos, restaurant, travel, Trinidad and Tobago. Bookmark the permalink. Follow any comments here with the RSS feed for this post. Post a comment or leave a trackback: Trackback URL. Tea on the Mount is often a nice respite… not many places in the East of Trinidad to grab a tea plate and a quiet corner… so its my go-to spot to enjoy a spot, of tea! Quiet Tea and a view! You bring back happy family memories. We lived in Trinidad in the 1950s and visited in the 1960s. 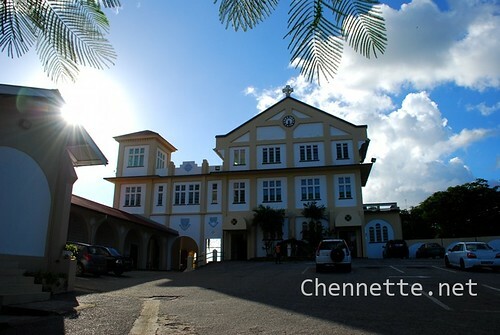 A treat was to go for Sunday tea at Mount St Benedict. 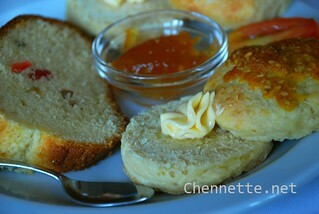 We enjoyed stacks of home made brown bread and honey made in the monastery’s bee hives. The tea rooms and seating area were in a courtyard with lush plants around the perimeter. We loved life in Trinidad. Hi Richard. Welcome and thanks for visiting. Glad the post allowed you to reminisce happily!